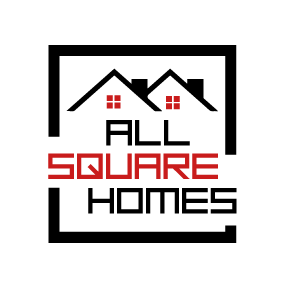 Keller Williams Realty Signature Partners | All Square Homes LLC. Your solutions to all things real estate is my top priority. I have experience with residential real estate from start to finish, and I have a team of professionals that are ready to serve you and make the experience smooth and fantastic. I am very familiar with not only the housing market but also the schools, local businesses and its diverse residents. If you are looking to sell your house, I will be happy to help you determine the appropriate value using income approach for investment properties or use cost and sales comparison approach. I offer extensive organization, marketing and communication services to a guide for you through the process. I am available even after the transaction is completed to answer any questions when needed. Michael is hands down the best realtor we’ve ever worked with! My husband and I have worked with other realtors before, but Michael is exceptional with his responsiveness, knowledge, and attention to detail. We met Michael years ago when we were looking into buying another rental property. We ultimately changed our minds and decided not to purchase anything, but Michael was completely understanding and not pushy or salesy at all. This year we were bouncing around the idea of selling our house and buying another, and we contacted Michael because we knew he wouldn’t pressure us. We did find a fantastic home at a great price and Michael sold ours within days of being on the market. We did back-to-back closings which initially made us nervous, but Michael is a pro who’s always three steps ahead and everything was seamless. He gave us tons of great advice and support and was always just a phone call away when we needed him. There’s no doubt about who we would need to go to again for our next real estate transaction. Michael does not hesitate to make recommendations that were in our best interest but ultimately would cost him commission. He treated us like old friends from the beginning, and we’re so happy we found him! Very supportive, honest and punctual. Our experience with Micheal was excellent. He helped us with every aspect in buying our first house. He provided answers to all our questions in timely manner. He is very eloquent realtor with great observational skills. We are the first time home buyers and we were extremely lucky to go through the process of buying our first house with Michael. We had gazillion of questions that Michael could find an answer to. He always was very patient with us and our frequently changing wishes and demands for the perfect house, explained everything in great details, and was always available for a phone call or text. He also was flexible in scheduling viewings, so most of the times we were able to see the houses we liked the same day they appeared on the market. Michael is also a great professional who knows exactly where to look in a house. He has great attention to details that was really useful for unexperienced folks like us – after looking at a house he could easily tell what year the roof was replaced, how old HVAC is or how good condition of pipes is, just to mention a few. In addition, he has all the contacts for the best mortgage officers, insurance agents, contractors, and virtually anybody who you might need to call before, during and after the close. We will recommend Michael to everyone. He is awesome, very knowledgeable and a pure pleasure to work with, a true professional! Michael was great to work with in buying my first house. He was accommodating of my work schedule which made viewing houses far easier. At a few of the listings, he pointed out problems such as not up to code electrical boxes and white mold (which I thought was cobwebs as it was under the house). These were things that probably otherwise wouldn't have been caught until a home inspection, so he saved me time and money on that. Michael was also able to connect me with the mortgage broker I worked with to secure my financing. They were able to get me a solid rate and terms on the loan. When it came to questions, Michael was on top of it. I could send him a message at what seemed like any time of the day and he'd respond back in no time. There were a few things he didn't know, but he took the time to check and get back to me with an answer. He's also was able to negotiate the terms of my offer so I came out pretty well. Overall Michael was a great Realtor to work with, and one that I would definitely turn to again. Working with Michael was a dream! We had decided to sell our home in a small neighborhood and buy a larger house with land. Michael made the whole process a breeze. He advised us on how best to stage our home, made showings easy for us, and our home got an offer in just one week! Meanwhile he showed us countless homes until we found the perfect one and it was beyond our expectations. He took care of everything throughout the process, made sure our closings lined up and stayed on time. Everything was as smooth as you could ever hope for! I have worked with several realtors before working with Michael, and he outshines all of them. Almost any realtor could drive me around and unlock homes I wanted to view, and that's all my past realtors did. However, Michael would make it a point to investigate each home like he was making the purchase. While I was looking at the size of the yard, the location of the bathrooms, type of flooring, etc. he was pointing out the potential repairs and maintenance issues of each home we visited. Of course an inspector is able to uncover these things, but it was nice to catch it upfront. It felt like he was genuinely working for my best interest. Michael was also very flexible in scheduling a viewing. The property we bought was on the market for 12 hours when I called Michael and we went and saw it the same day I called him. Once we found my home and went under contract, Michael was always available via call or text to answer any of my questions. He helped me retrieve quotes for repairs to negotiate the price down as well as recommend contractors he had used in the past to complete work after closing. I used a non-traditional lender that required much more documentation, and he would consistently contact them to make sure the documentation was received and that I would still close on time. After I received my clear to close, the closing attorney was slow to respond to our requests to schedule the closing. Michael emailed, called, called again and finally started to drive into Atlanta to talk to them in person. I could tell he was fighting for me. We closed on time and after we finished our paperwork with the closing attorney, it felt like Michael was as excited as I was. In summary, Michael is genuine, dedicated, responsive and knowledgeable. If I move again to another home in this area, Michael will definitely be my first call.